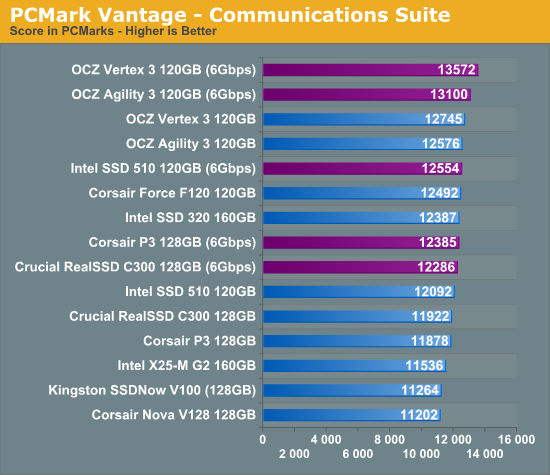 Next up is PCMark Vantage, another system-wide performance suite. 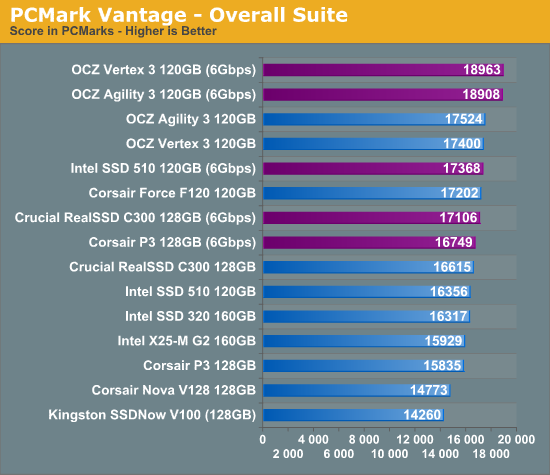 For those of you who aren’t familiar with PCMark Vantage, it ends up being the most real-world-like hard drive test I can come up with. 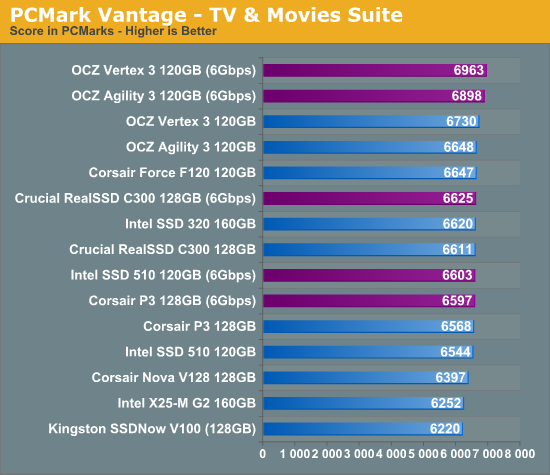 It runs things like application launches, file searches, web browsing, contacts searching, video playback, photo editing and other completely mundane but real-world tasks. 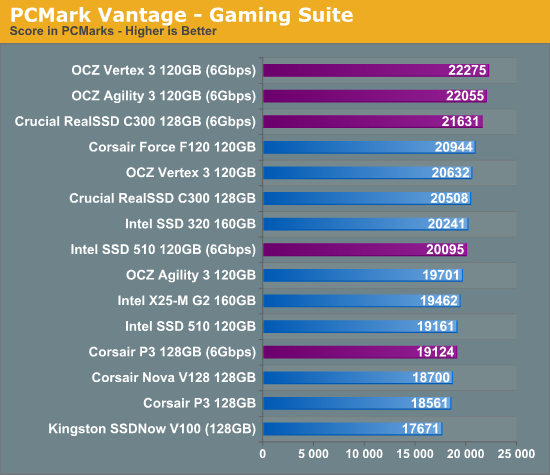 I’ve described the benchmark in great detail before but if you’d like to read up on what it does in particular, take a look at Futuremark’s whitepaper on the benchmark; it’s not perfect, but it’s good enough to be a member of a comprehensive storage benchmark suite. 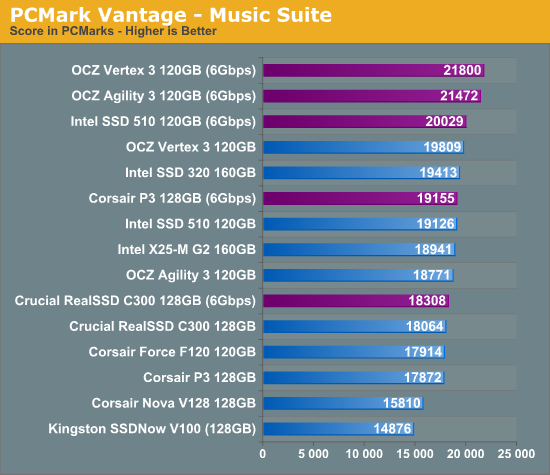 Any performance impacts here would most likely be reflected in the real world. 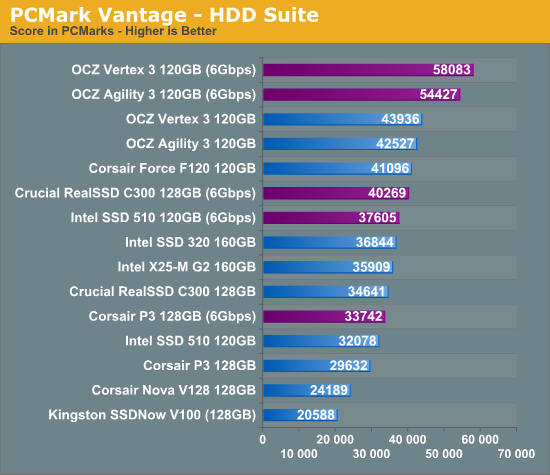 The SandForce drives hold a 10% advantage over the Intel SSD 510 in this test. 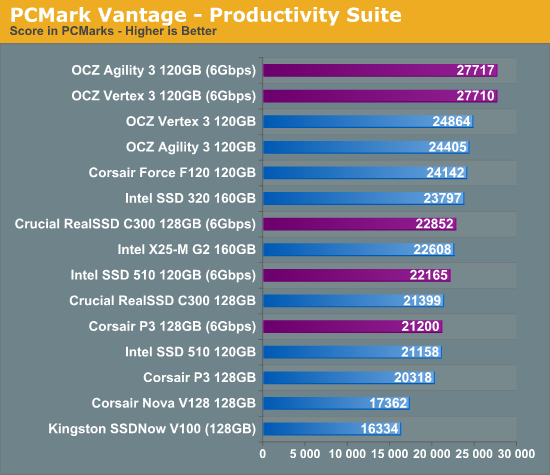 For truly light desktop workloads it's near impossible to offer better performance than SandForce as most of the data written never actually hits NAND. 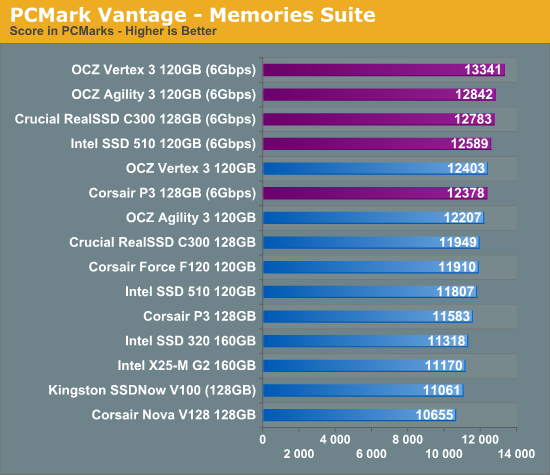 Now if we could get a review with the 240 GB Vertex 2. I just bought one for $220 before a $20 MIR about 2 weeks ago. They were all just recalled, that is why.